In 1954 the Federal Labour Court started its jurisdiction tasks in Kassel, Germany. 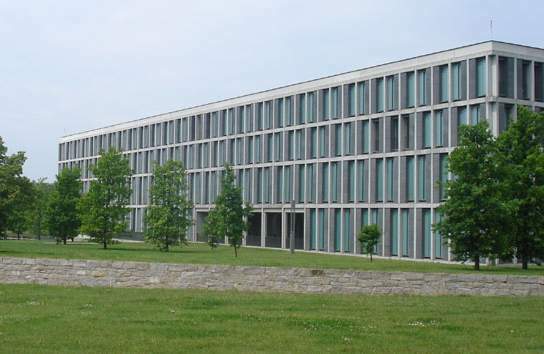 Today, it can be found in Erfurt since the completion of the new court building in 1999. As a pure court of review it judges appeals and appeals on a point of law against decisions of the regional labour courts and dedicates to the advanced education of law itself. The rectangular, compact, four-storey building has an energy-saving climate skin and open appearance due to the large windows. In the course of continuing modernisation and maintenance work the voice-supporting sound system of the large hearing room was to be refurbished. The previous conference system was not suitable for almost 100 seats. In addition to the optimisation of the auditory area, the new system should allow for the possibility to partition the room. Based on these requirements, the VST GmbH in Saalfeld projected a high-quality system which also blends discretely into the room. The project was realised with nine beyerdynamic Revoluto microphones, where the integrated microphone array technology with corridor characteristic replaces the usual gooseneck or rod microphones. The result is an excellent voice quality and free eye contact to the other participants. Furthermore, due to the discrete microphone arrangement, the Bench appears bigger and more open to the audience. The microphones are well integrated in the room by connecting to a BIAMP Nexia Conference System and four loudspeakers from Kling&Freitag. The difficult room situation due to large windows and a sound-reflecting stone floor could be compensated by digital signal processors (DSPs) – which eliminate disturbing frequencies and feedbacks by specific filtering. All other components such as amplifiers and controls have been integrated. 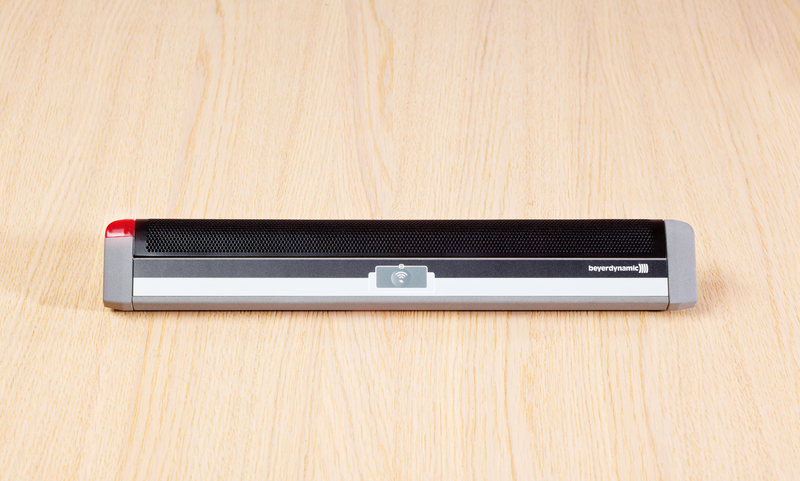 The whole system can be operated intuitively via a BIAMP RED-1 remote control. Individual application scenarios can be recalled with this. The result is a sound system which is completely integrated into the room with few visible components, but with essentially more performance compared to the previous PA system. At the same time the system can also be further extended e.g. the recording of hearings on a storage medium.